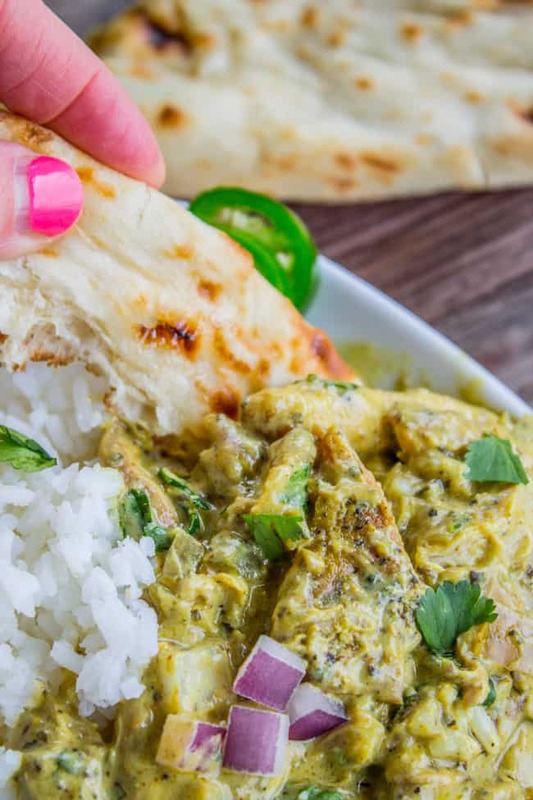 Slow cook your way to one of the best chicken curries I’ve ever had! The sauce has coconut milk, jalapeno, and red onion. It’s not too spicy, but has tons of flavor! We ripped out our carpet this week and are in the middle of getting new (laminate) wood floors. Originally I wanted to put the wood in our kitchen, dining, and family room, because they are all connected. But then we ripped out the OLD laminate in the kitchen to reveal this awesome linoleum underneath. I love it so much! I think I’m going to keep it and do the new wood everywhere else. What do you think? Isn’t it super cute? This gross linoleum kind of makes me nostalgic though. We had a VERY similar pattern in my kitchen growing up, only ours was, no joke, BRIGHT yellow and orange. Classic. (my parents bought their house in 1980 I think.) Did you grow up with linoleum like this?? This recipe is a classic from the blog that I changed up to go in the slow cooker. It worked out beautifully! 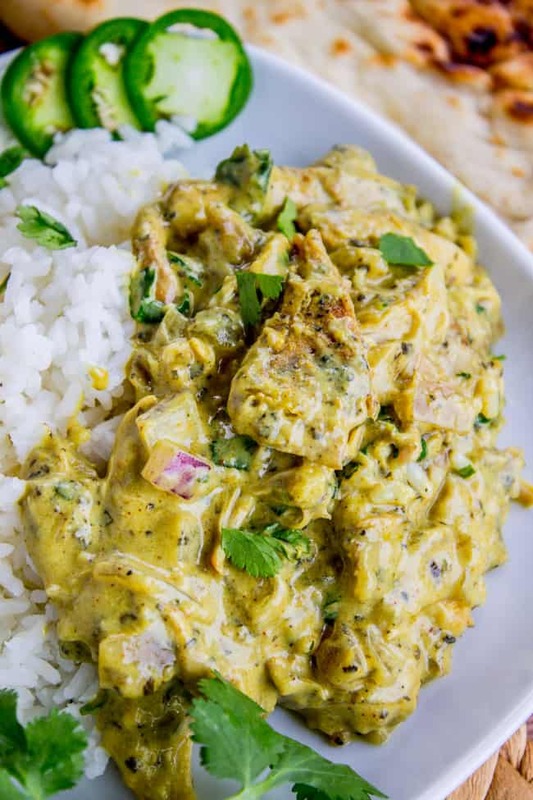 The original is here: Basil Chicken in Coconut Curry Sauce. It’s a huge crowd pleaser. The sweetness from the coconut and the earthy tones from the yellow curry balance each other perfectly. But you have to marinate it and stand over the stove for a while, and lately I have been all about the setting-and-forgetting-it. Enter our trusty slow cooker! See how it’s just falling apart? This recipe uses bone-in, skin-on chicken thighs that you sear on the stove before slow cooking. By the time they are done cooking, they are falling off the bone, and the caramelized flavor from the searing step has transformed the meat into something simply amazing. You could absolutely use chicken breasts in this recipe, but the meat won’t be quite as flavorful. You just can’t replace that dark meat. Make this soon! Slow cooking ftw! If you make this curry, snap a photo and share on Instagram using #TheFoodCharlatan! I’d love to see it! P.S. Here’s a trusty Crock Pot if you don’t have one. And this is the brand of skillet I use. Remove the skin from the chicken using your fingers and a serrated knife. Salt and pepper each thigh. Heat a large skillet to medium-high heat. Add 1 teaspoon oil (or you can use nonstick spray). When the oil is hot, add 3 chicken thighs. Don't put them too close together, you want to avoid steaming. Cook for about 2 minutes, until nicely browned on the bottom. Then flip the chicken over to brown the other side for about 1-2 minutes. Repeat searing process with the other 3 chicken thighs. If there is still enough grease in the pan then you don't need to add more oil. Meanwhile, in a crock pot combine coconut milk, basil, 2 teaspoons salt, 3/4 teaspoon pepper, yellow curry, and chili powder (to taste). Stir to combine. Add the chopped red onions, garlic, and jalapenos. Add the browned chicken and stir to combine. Cook on high for 4-5 hours, or on low for 6-8 hours. Remove the chicken from the slow cooker and transfer to a plate or cutting board. Let cool for a couple minutes. Add the ginger to the slow cooker. In a small bowl, combine cornstarch and 1 tablespoon COLD water. Stir until it's not lumpy. Add this to the crock pot and stir. Shred the chicken, removing the bones and any tough bits. It should just be falling apart. Return the meat to the slow cooker and stir. Return the lid and cook for another 10 minutes. Season with salt and pepper to taste. Stir in the cilantro. Serve with rice, cauliflower rice, or naan. *I know the photos show that I seared the meat with the skin on. I tried it both ways and liked it better with the skin removed, but only got photos with the skin on. **If your curry is not thickening up the way you want it to, you can add another tablespoon of cornstarch. Be sure to liquify it with another tablespoon of cold water before adding! Source: the stovetop version is originally from Mel’s Kitchen Cafe, who got it from Better Homes and Gardens. Slow Cooker Chicken Tikka Masala << This is another old recipe from the blog that I recently adapted for the slow cooker. It’s a classic Indian dish and it tastes sooo good! 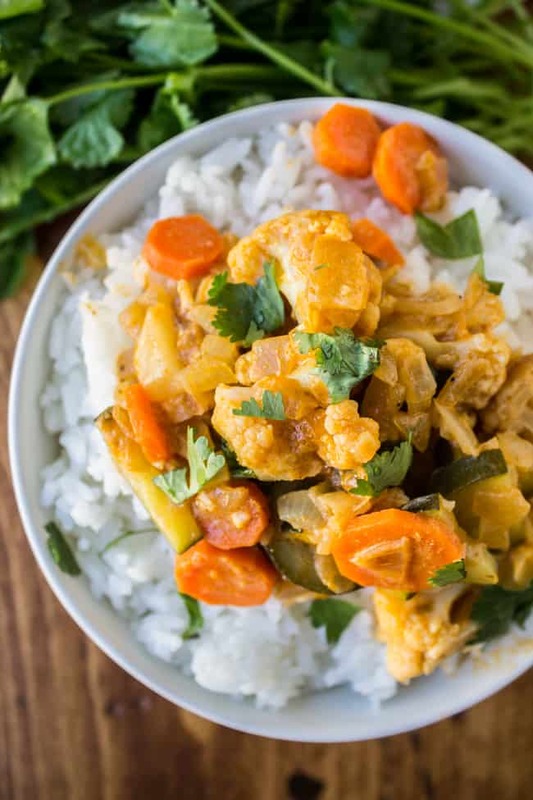 6 Ingredient One Pot Vegetable Curry << this cheater recipe is so easy! Thai Red Chicken with Cherry Tomatoes: this is an oldie but a goodie. 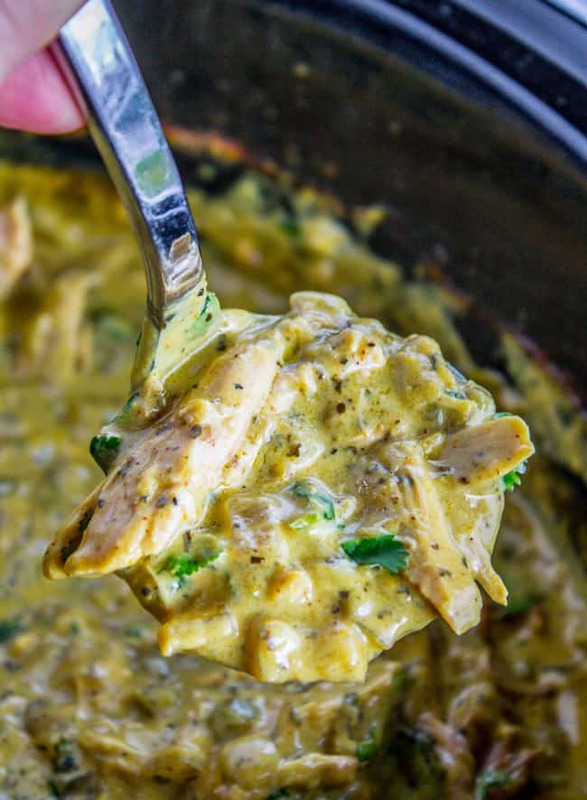 This is my new favorite curry chicken recipe! Many thanks! I didn’t get at it in time to use the crock pot the first time around, but it worked fantastically on the stove. The bone-in thighs were perfect for it! Served with brown rice and an asian cole slaw salad. LOVE LOVE LOVE! Love the idea of pairing this with an Asian coleslaw! Sounds delicious. Thanks for sharing Kristin!! Delicious! My entire family LOVED this dish! This was so good! It tasted just like curry to me. I made it exactly as stated. The only thing it was missing was the spice so my husband and I added sriracha on top. Ooh sriracha would be delicious on this! Genius Martha. Thanks for the review! Hey Lucinda! Sorry I can’t be more specific, curry is just a blend of spices and I have no idea what ratio the company who makes my curry powder uses. I recommend just finding a mild yellow curry that you like the flavor of, and it will turn out great! A big disappointment. Strictly adhered to your recipe, but substituted Organic Chicken Breast. Served it over brown basmati rice. Found it to be excessively salty. Two teaspoons salt is way too much. A tablespoon and a half of yellow curry powder is also way too much. The whole thing was kinda dry as well.. not much liquid to work with. The curry flavor was so overpowering that we couldn’t finish what was on our plates. (And I like curry!) Discarded the leftovers. Do you think substituting the red onion for a yellow or white onion would turn out good too? Great taste, my kids all eat it! Serve over steamed cauliflower, carrots and rice…SO GOOD! We changed some things…but it’s one of the best dishes we have EVER tasted! 1. We used green curry powder instead of yellow. 2. Doubled the amount of cilantro. 3. Added a bit more garlic. 4. Left the jalapeno seeds in. 7. Cooked on low for 8 hours, but next time will cook for 6 hours. (Chicken was too “pull apart”. Double the cilantro, a pretty good rule for life! Thanks for sharing your version Deanna! We loved this so much, even though I had to make some changes due to dietary intolerances. I knew immediately it would be a long time favourite. Many thanks. I am trying to let people know that when someone like me reads a recipe that doesn’t use weights or metric equivalents, it is a nuisance to have to go through and make the changes. Maybe you could consider using metric equivalents in future…for example, did you know that a metric Tablespoon contains FOUR teaspoons and not three like the American equivalent? Anyway, thanks so much for the delicious inspiration. Thank you for the helpful feedback Ardys! And for telling me in a nice way :) I will take this into consideration as I move forward with my blog! I would be irritated too if I had to convert every recipe. Hehe. I hear you Kay, but also, in Ardys’ defense, most everyone besides America uses metric. It’s actually way more accurate, esp for baking. I use cups and spoons because a) it’s what I grew up with and b) most of my audience is American. This was so delicious. My entire family loved it, it smelled so good cooking. Just plain amazing. Made this tonight in my Instant Pot by browning boneless, skinless thighs using the saute function and cooking on high pressure for 8 min., natural release for 15. It was good but not great—just lackluster. Maybe slow cooking is just the better way to go for this recipe? I’ll try it in the slow cooker next time since it was easy and I usually have the ingredients on hand. Can this be adapted for an Instant Pot? Hey Shakthi! Yes I believe several people have tried it and commented with the times they used, read through the comments! 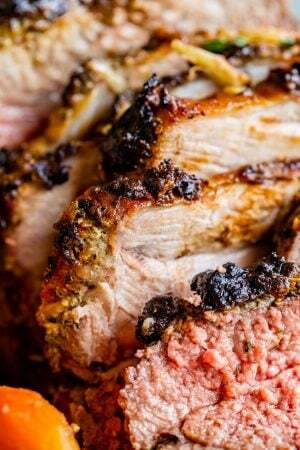 Hi, my husband & I are trying the Paleo diet and made this recipe tonight in our crockpot. I thought it turned out great although I added a tablespoon of fresh basil for some additional punch & left out the jalapeños because the hub isn’t a fan of hot stuff, except maybe me, 😜. Took the skin off as suggested and served it with cauliflower rice. Will be eating it for lunch for the next few days. The coconut milk really makes it creamy & again, I thought it was quite tasty. Thanks for the recipe, good luck with your floor! I’m so glad it was a hit Jude! Good idea serving with cauliflower rice. It’s the best combo! I don’t usually comment on internet recipes, but this was soooo good! I loved smelling it cooking all day (my 3yo kept saying, “I smell dinner and it smells DELICIOUS!”) and the taste did not disappoint. I wasn’t sure if it would be too spicy for my young kids, with two jalapenos and all, but it was totally fine (I used the lower amount of chili powder). Even my 1yo ate a good bit! I am so glad I went with chicken thighs, as they were really tender and juicy and flavorful. Such a great way to liven up our meal rotation! Thanks so much! I’m so glad the kids ate is Joy!! A true sign of success! :) Thanks for reviewing! Best curry chicken I ever made! Moist and a marvelous taste! This has great flavors and was a nice healthy meal. I wouldn’t call this a curry though. I served with cauliflower rice and it was a lovely meal, just not really a coconut curry as titled. So my brother made this tonight but accidentally put the cornstarch and water + ginger in along with the other things in the beginning… any suggestions? I am making this tomorrow! I just wanted to send a quick note saying how gracious and fun you are when responding to people. I read through sooo many comments and have decided that you may be one of the sweetest persons on the planet. Hahaha!! Kill em with kindness I say… or something like that, lol! Thanks Molly! Hi! Can I use this with chickpeas instead of chicken? Any vegetables you recommend? Thanks! 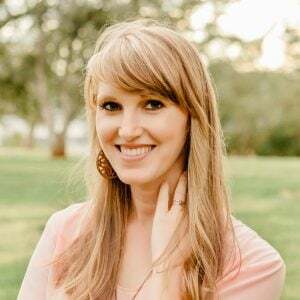 Hi Katie, I’ve never tried chickpeas in the crock pot! I would find another slow cooker curry recipe that uses chickpeas as the main ingredient, and adapt your recipe to that. 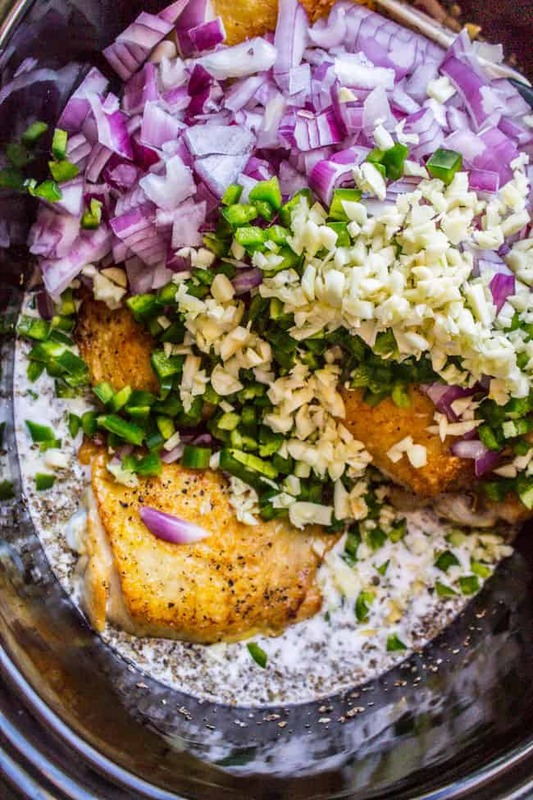 Question… I generally don’t use chicken thighs but this looks delicious so I want to make sure I do this right – In the photos it looks like the skin is on the chicken but the recipe says to remove the skin. Is it either or? Hey Brooke! I tried it both ways but only got photos with skin on. Remove the skin before searing. I like to buy the boneless skinless thighs these days! Look for those, they save you a step. I made this for dinner last night for the first time and it was amazing! I might leave in the seeds from the jalapeños next time, just to add a bit more kick. But honestly, it was great the way it was. My husband couldn’t stop eating it. I’ll definitely be adding it to the rotation, because we usually have all the ingredients on hand. Thanks for the recipe! I made this for dinner last night too Sarah! Great minds think alike :) I’m so glad it was a winner! And yes I agree, sometimes a spicy kick is all you need, leave those seeds in! Yum. Any substitute for corn starch? Could I use almond flour? almond flour will not thicken the same way that cornstarch does, or at least you would need a lot more of it. If you want to you could try using All purpose flour, though you would need more like 3 tablespoons. I think some people have tried using arrowroot with success too. 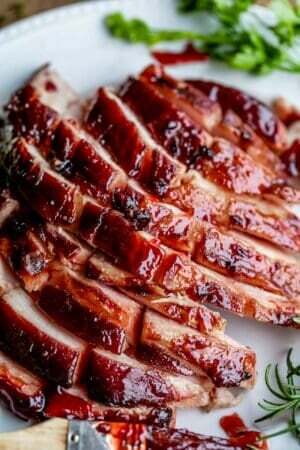 Hello- I want to make this recipe and bought boneless thighs instead of bone-in! How do I convert the weight for what the recipe calls for? Hey Chelsea! Just use what you have, it doesn’t have to be an exact measurement! Made this last night. It was delicious! I used boneless chicken thighs and was worried they would turn out to be dry but were tender and flavorful. My husband and daughter loved it too! Thanks for the recipe! Is this an indian dish more that thai flavors? the yellow curry looks like it is more for indian flavors? which is meant to be? This looks amazing! Do you have to use can coconut milk or will box be ok? I have that on hand already and wanted to check. Thanks! Hey Jasmine! I haven’t tried any other kind of coconut milk, so can’t vouch for it. Let me know how it goes! I am sooooo confused. I’ve made this numerous times and honestly it’s one of my favorite dishes. It’s been several months since I’ve made it and this time it was a COMPLETELY different dish. Has anything changed with the recipe? I thought I even remembered lime, but maybe not. Mine also was green and no flavor. Hey Jane, no I haven’t changed the recipe since publication. If the flavor and color was different, that sounds like a different brand of curry powder. There was definitely never lime in the recipe. Are you using different curry? I followed the recipe exactly. This was gross. I love both basil chicken and yellow curry at restaurants, so I had high hopes for this. Couldn’t even eat it. What a waste of ingredients. Hey Lauren! I’m so surprised you didn’t like it! I’m sorry you had a bad experience. This is one of my most popular recipes, thousands of people have made it and loved it. I’m wondering if something went wrong? This was BEYOND salty. Followed to a tee and it was just too much, even over rice . I’m so sorry to hear that Kristina! I’m confused because so many people have made this as written. Maybe go easy when you salt the chicken next time? Made this and it is so delicious. Any idea if this freezes well reheat and devour another day? Hi there! I haven’t frozen this one myself, but I’m confident it would do well. Throw the completed recipe (not the rice) into a ziplock and freeze for up to 3 months. Great idea! I loved this recipe. I followed it almost to a tee. I used fresh basil as I have a lot. Three times the amount called for. . This is so flavorful. Yum. Thank you for sharing. Ooh, fresh basil in this recipe sounds so good! People keep commenting saying they use fresh basil and how it’s so good, and I still haven’t tried it. I need to make it happen before my basil plants in the garden go! Great tip Janet, thanks for the comment! I would like to make this but I am a bit nervous as I do not like spicy foods AT ALL. Not even a little bit spicy. Is there anything I should cut down on? Thank you! Hey Ana! This curry is not very spicy at all, but then again, I like spicy food so maybe I’m a poor judge. Make sure you get out ALL the jalapeno seeds, and maybe use one instead of 2. Omit the chili powder. Hopefully this helps! Let me know if you like it! I can’t find any peppers other than really hot (habenero) or really mild (bell pepper) in my local grocery store. Would bell pepper be okay in this recipe or compromise the flavor too much? Just looking for an alternative because I’m really excited to try this recipe! Thank you! Hey Chelsea! I think Bell peppers would be tasty! I would do like maybe a half a bell pepper, or 3/4. chop it pretty small. Then if you wanted to add a bit more heat you could sprinkle in some red pepper flakes. Hey Tiffany, I don’t provide nutritional info on my recipes, but there are lots of online calculators you can plug it into! Oh my, this recipe is delicious. It may be my favorite curry ever (and I LOVE curries!) I’ve made this twice now (THIS WEEK!!) and followed the Instant Pot recipe listed in the comment section. Easy, breezy. Thanks! Twice in one week! High praise :) I’m so glad you like it so much. It’s my favorite curry too! Thanks for your review Monica! 2 cans of coconut milk was too much. Flavor was just too diluted and was NOT a hit. Looked at the stove top version and that used just one can. Hey Larry! The crockpot version is a doubled recipe of the stovetop version, which is why there are two cans. I’m sorry you didn’t like it! Hi there, this looks so yummy. I was just wondering if you could use fresh basil instead of dried? And if so, how much would you recommend? Thanks! Hey Kelly! Yes, that would be delicious. Mince it and add it just before you serve it. You could add as much as you like; I would start with about 1/4 cup and move up from there. Great question! Just wondering – do you chili powder ( which is actually a blend of spices) or cayenne? Hey Allison! I used regular ol chili powder. Cayenne would be delicious too, I would start with maybe 1/4 or 1/2 teaspoon? It’s a lot spicier! Our daughter is expecting our first grand baby tomorrow! Praise the good Lord! I’m dying with anticipation and nervous energy, so I’ve been cooking up a storm making meals to stock their freezer. 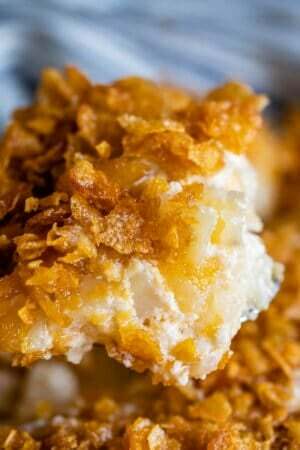 This recipe looks outstanding and I know she and her hubby will love it! Thanks for sharing! PS I might see how it does in my Instant Pot since other Indian dishes have turned out fantastic in it, and it’s such a time saver! Eeee congratulations Pam! What an exciting time! I hope the delivery went well that that mom and baby are safe and happy. :) Did you try it in the instant pot? How did it go? 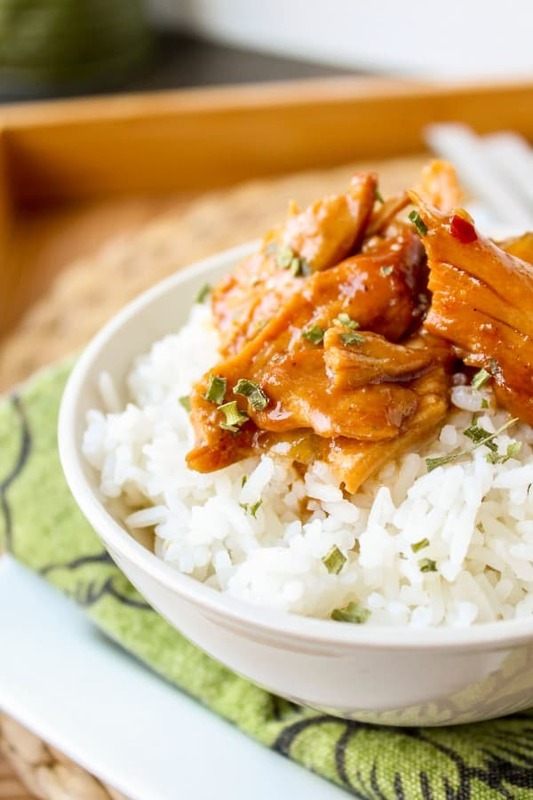 Quite a few readers have been trying this in the Instant Pot with success! Looks great! I want to try it. What about using yellow curry paste rather than curry powder? Hey Alyson! I think curry paste would taste delicious, but I haven’t actually tried it, so I’m not sure how much to tell you to use. Are you an experienced curry maker? Taste it to see how potent it is. Also, where do you buy yellow curry paste?? I’ve never seen it at my stores here in CA. Oh no I’m so sorry! That is the worst when you have wasted ingredients and time :( How old was your curry? What brand was it? Did you make any changes? Thanks for this recipe. I was so excited to try my first chicken curry dish, but the same thing happened to me. Hey Aimee! I’m sorry it turned out darker than the photos show! I’m thinking it’s the curry powder. Here is the brand I used. It’s a yellow curry powder. Hope this helps! Hey Laura! I would recommend adding any vegetables in the last 3 hours of cook time, otherwise they will get pretty mushy. Let me know how it goes! I am making this in my instant pot tonight, any recommendations for using the IP or cooking times etc? I modified this as an Instant Pot recipe. I did not change the amount of liquids used, but I did use 8 bone-in skinless thighs which weighed about 3.5 lbs because that’s how many came in a package. I seared each one for about 3 minutes on each side using the “browning” function on the Instant Pot. I then sauteed the veggies and half of the ginger for about 3 minutes then added the spices and sauteed another 30 seconds before adding the coconut milk and the chicken thighs back to the pot. I used about 1/3 cup fresh shredded basil, and added half of the leaves for the cooking stage. Cook on high pressure for 10-12 minutes and do a natural release for 15 minutes. I stirred in the remaining basil, ginger, and cilantro after shredding the chicken and adding it to the pot. This was a tender and wonderful recipe. The broth was a little runny but still delicious when stirred into some basmati rice. Thank you SO much for this detailed comment Anna! Tons of people have been asking about how to make this in the Instant Pot, but I haven’t had a chance to test it yet. This will help so many people! Thanks for taking the time! thank you so much Anna! this is one of our go to favs and I love my Instant Pot! I know what i’ll be making this week! I am normally a huge fan of curries and was really excited to try this recipe. I cooked it exactly as the recipe dictated and it is, unfortunately, the ABSOLUTE WORST curry I have ever tried or made. It was extremely bland and uninspiring. The liquid was not creamy at all, as is usual in normal curries. Definitely will not be making this tasteless recipe again. Hey there! I’m so sorry the recipe wasn’t a success for you. I’m so confused because I make it all the time, and have received hundreds of positive reviews! Did you add the cornstarch at the end? Is it possible your curry powder was expired? I’m sorry it wasn’t tasty! This is an absolutely delicious dish. The flavors merry together so beautifully. My husband, who doesn’t care for coconut milk, went crazy over this dish. I’ve prepared it many times! That is awesome to hear! I’m so glad your husband liked it even with the coconut. Thanks for stopping by to leave a comment! I loved this recipe! Thank you! I’m not much for curry, but the rest of my family likes it. When I read the recipe I figured I’d give it a shot because it included other ingredients I love eating. So…I think I am hooked on this dish-curry & all! The flavors are amazing and I enjoyed smelling it cooking all day. My family really liked it as well, no one spoke while they ate & even went back for more. I have made this for my family so many times! My sister even asked me for the recipe and made it for my mom’s birthday after she tried it at my house. Everyone, especially my mom, loved it! Browning the chicken before placing it in the crockpot is definitely key and I have tried doing that with other crock pot recipes and it makes the chicken much tastier. I agree Gemma!! It’s a game changer :) I’m so glad this has become a family favorite!! Thanks for coming to comment, I love you! Any idea of this would work in an Instant Pot? Hey Noelle! I’m sure it would! I don’t have any times to give you though, I’d have to test it. I adapted it to an Instant Pot recipe with a lot of success. I used all of the same ingredients except I used 8 chicken thighs at close to 3.5 lbs after skin was removed (it’s how many came in my package) and 1/2 cup fresh basil (I don’t have dried, sorry). I cooked with 1/4 of a cup of the basil, and added 1/4 cup along with the cilantro at the end. To cook as an Instant Pot recipe: Heat Instant Pot with browning function: cook on each side 1-2 at a time (as directed in original recipe) and remove to plate. Saute the onions for about 2 minutes, add the jalapeño, garlic, and ginger and saute another 1-2 minutes, and add the spices, saute for another 30 seconds. Add in the coconut milk and 1/4 cup of basil. Add the chicken back to the pot. There should be enough coconut milk to almost cover or just cover the chicken. Cook on HIGH for 12 minutes and natural release for 15 minutes. Remove chicken to cutting board, then add the cornstarch and water mixture to the coconut broth and stir. Shred the chicken and add it back to the broth along with the cilantro and basil. I also added the juice of one lime. This was an amazing recipe. We had enough for 6 meals. Thank you so much for your inspiration! I’ve never had so much success with chicken thighs before. I made it in the Instant Pot tonight and it came out fantastic! I reduced the coconut milk to one can, but followed the rest of the recipe the same. I pressure cooked it on high for 25 minutes, took out the chicken, shredded it and used the Sautee setting to simmer for 10 minutes before adding the cornstarch slurry. I have made this recipe in the slow cooker in the past and the only difference is that it is spicier because of the reduced liquid. Did it work? Do you have cooking times? I was really excited about this. Mine came out brown and watery and tastes nothing like curry. The only thing I can think of is I let it set on low for too long, I just didn’t have the time to fix this properly I guess. I read through the comments here and it seemed like more people had luck cooking on low, so that’s what I tried. This is not a recipe for a busy person working long hours. I tried to carefully plan out when I would cook this and that didn’t work obviously. I’m sure this is delicious if someone else makes it! I’m so sorry it didn’t work out for you Holly! Made this last night, but it came out really oily. I used skinless breasts so that was not the cause. I suspect the coconut milk. Any ideas on correcting that? The flavor was really good but just too greasy to be edible. Lovely aroma to come home to and I enjoyed this! I made a few substitutions for convenience (yellow for red onion, no jalapeños, added a large container of spinach). Would try peas next time instead of spinach as I think it changed the flavour a bit. Thanks for the recipe!! LOVED THIS!!!! Sharing the recipe with my dad he will love it too!!! It was very good. Even the picky eaters ate it! This is the best curry chicken I have ever made! It tastes like something you would get at a restaurant. We will definitely have it again. Kids ranging in age from 6-17 loved it! I didn’t have fresh jalapeños so I just used a few slices of jar jalapeños. I also didn’t have fresh ginger so I left that out, but it probably worked out best because it may have been a little too spicy for the little one. It was delicious! Oddly enough, I too had problems with this recipe not being ‘creamy’! What the heck. I am so disappointed. Smells and tastes great, but it is dark greenish/brownish. Shoot! I used the same coconut milk you did. So that can’t be it. I used breasts not thighs? Also, I did cook on high for four hours…. perhaps that is it? Do you usually do yours on low? Mine started off looking just like yours, I couldn’t believe when I came home four hours later and opened the lid. Tasted fantastic.. we both loved it! Husband and I loved it! It was perfect balance of spice and heat. So happy to hear that Shuborna! Thanks for coming back to comment! Can you use red curry? Looking forward to trying it! Hey Erin! I’ve never tried it with red curry before. Let me know how it goes! Making for the second time tonight. It was a HUGE hit! So happy to hear that Annie! Thanks for the comment! Absolutely delicious, andfull of flavor. I’ll experiment with different types of curry next time. Would like to add a little more heat to this dish. I’m glad you enjoyed it Sirna! If you want to add more heat, leave in some of the jalapeno seeds! So I’m a cooking novice, and have a question. Can I sub a different meat in this? I want to make this so badly, but my husband can’t eat poultry. Hey Kortney! I’ve never tried cooking it with another meat. I’m not sure how it would turn out! Let me know how it goes if you make it! My family LOVES this meal. It quickly became my oldest’s favorite meal, even the meal he requested on his birthday (which is a big deal in our family!) Thank you for sharing. That is so awesome Rachel! The birthday request, what an honor! :) Thanks for sharing! This is bubbling away in our crockpot right now. The house smells delicious! However, I just lifted the lid to take the chicken out and found the sauce broken (separated). I used chicken tenders (still partially frozen), and put it on high for 4 hours as directed. I think it must have started to boil, making the coconut milk separate. The flavor is great, and I will try it again, but will definitely keep it on low. I’m sorry the sauce separated on you! Thanks for the heads up. Next time I would make sure your chicken is thawed in addition to leaving it on low. Hope it goes better next time! Hey Elisa! No, you didn’t miss it :) That’s not something I provide on my blog posts, I’m just a home cook. There are lots of online calculators you can plug it into though! Can you add potatoes to this recipe as well? Would I have to change anything to the recipe if i did? Hey Kai! I’ve never tried it with potatoes. I bet it would be good! Let me know how it goes! Came for the curry, but I love your laminate flooring! Do you remember the brand and pattern? This is one of my favorite recipes, I’ve made your original version of it 100 times and figured I should probably just let you know. It’s, ya know, good. :) Real GOOD. Haha! YES! Thanks for letting me know Nicole! I’m so glad you love it. You’ve probably made it more times than I have! Well OF FREAKING COURSE this is your recipe. 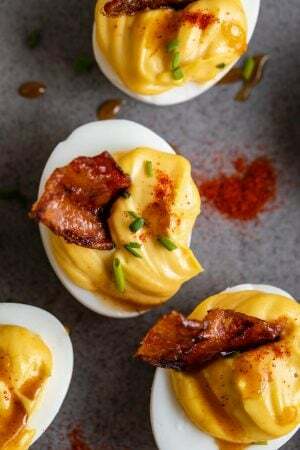 I was just wasting my time on Pinterest and was all drooly (technical term) over this recipe and when I clicked through I was like WELL DUH. It’s amazing because it’s Karen’s. THE END. Anywho. Saved this to make this week. I can’t wait!! Haha! Back atcha girl. Don’t tell me how it goes. I’m always terrified when people I know make my recipes. Ha! This was AMAZING!!! Thanks for sharing the yum! Hooray! I’m so glad you liked it, thanks for the review! This is fantastic! We really enjoyed it, just as written. Awesome Jodie! Thanks for the review! Do you know if the box coconut milk that is sold as a beverage could be substituted for this canned coconut milk? I ask because it’s significantly cheaper. Thanks! I think she is talking about the coconut flavored Silk milk! Hello! I bought all the ingredients for this recipe & i can’t wait to make it. At what point during the cooking process is this done? When it is completely finished or? Hey Reygine! Step 10 is the part where you actually do the slow cooking, so yeah, in step 11 the chicken is completely cooked. Take it out, shred it, and put it back in. Enjoy! I did that recipe the other day for friends and we all loved it. Has anyone had issues w/it being too salty? 2t seems high, plus salting the chicken…? Maybe it all turns out okay- making it now. Ok, can I ask a dumb question? I have only tried to make curry once and when I opened the can of coconut milk, I found that it had both liquid and solid parts. Do I use both or just the liquid? Thanks! Hey Laura! Not a dumb question! Coconut milk is weird like that. It has a solid and a liquid part, and yes, dump it all in! Stir it together so it gets creamy. Enjoy! Wow. This is absolutely amazing. I cannot rave about it enough. Plus it’s a set and forget recipe?! Could not be more perfect. My family loved it. They called it a gourmet meal :) The perfect balance of flavors. I actually used chicken breasts because we had them on hand, and it was incredible. Thank you so much for posting this!! I’m so glad you guys loved it so much Katherine! It’s the best when the whole family loves a dish :) Thanks for commenting!! Hi! I got to your site from Pinterest, and I’m so glad I did! I halved the sauce and made it with half a chicken, it was perfect. I’m so excited to see what else you have on your site! You used a half a chicken Leah? I bet that would be delicious with all the different parts of the chicken in there! Yum. Thanks for the review! Happy Thanksgiving! straight into the pot. (My crock pot rules: no prep steps besides chopping, be delicious) It was superb. This was amazing! I made a few changes. I used organic boneless skinless thighs. Omitted the jalapeños and ginger. Used a curry spice blend from Minnesota organic spice co (ahmazing). I also used 1 can organic coconut cream and one can organic coconut milk full fat, the brand that doesn’t use gums. I didn’t add the cornstarch as I felt the consistency was perfect! I note the organic aspect as I find consistency of products make a difference between organic and standard. The picky kids loved it and my husband and I devoured it! Paired it with white rice and roasted cauliflower and salad! Delicious! Thank you! I will add one negative, the browning of chicken was a bit time consuming and messy. Not sure how to master that without a three foot radius being covered in grease! Anyhow, won’t stop me from making it again and again! Oh, made this in a instant pot, on slow cooker vs traditional slow cooker. Hey Katherine, thanks so much for the review! I’m glad you guys liked it. And yeah, browning the chicken isn’t exactly the cleanest of endeavors. I recommend a splatter shield! They really help out with keeping the stove clean. Ok, this has also been added to our rotation!! I personally feel like having to get out a pan and brown something defeats the whole purpose of a crock pot (SO limited on time! We are lucky if we get a homemade dinner at all!) so I just used my chicken breast since I buy it in bulk and always have it on hand and believe it or not, I couldn’t find bone-in chicken thighs at the store! I just used 3 breasts and had plenty of sauce for the rice. This was SO divine! SO delicious! The only thing for me is it definitely wasn’t spicy enough (I actually de-seeded and removed the membrane of one jalapeno but not the other just to make sure it was spicy- we love spicy!) , which it really needed because the coconut milk taste was so strong – not necessarily a bad thing! It is quite good! But the extra spiciness would have balanced it all out really nicely. Thank you so much for this recipe! I love that you can handle the heat Jaquee! I’m so glad you liked it! Hi I was wondering if you know the calorie count on this is. Hey Katie! I don’t know, but there are lots of calorie counters online that you can plug it into! I ended up using 8 chicken thighs instead of six, smoked paprika and cayenne to give it more of a kick. And I added cilantro and lime to my rice (thanks Chipotle). This dish is definitely a winner! Loooove cilantro lime rice! That would be so good with this! Hi. I am allergic to coconut everything (except for coconut oil. I know it’s weird, but that’s how it goes for me!). Is there a different option for the coconut milk? I would really like to try this, but can’t use the coconut. Sorry if this is a stupid question. Thanks. If there’s no sub, I’ll just admire from afar! Hey Heather! Hmm. I’m not sure how you could make this without the coconut milk. It just wouldn’t have the same flavor. 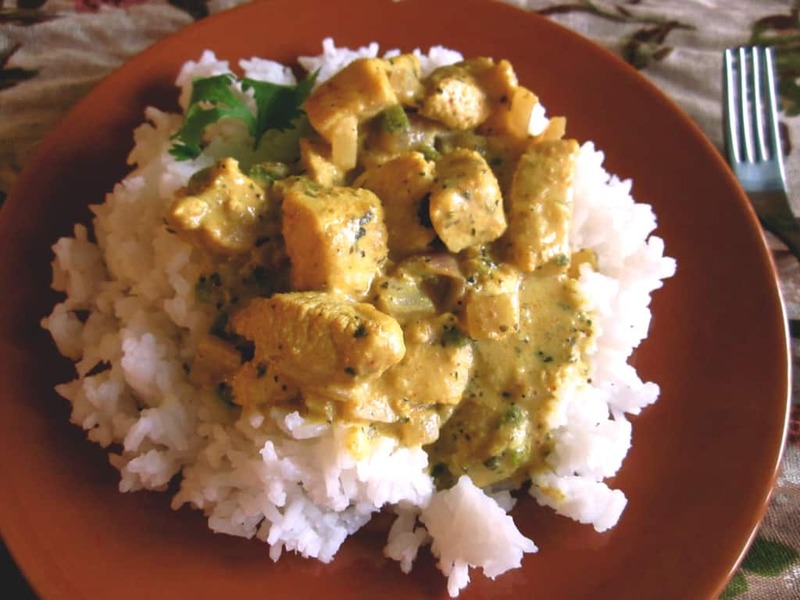 I would try finding another yellow curry recipe and try adapting it to the crock pot. Good luck! I made this tonight for dinner and my whole family enjoyed it…even my 4 year old! I am not typically a big fan of curries, but the flavors in this dish were balanced and it was delicious. Thanks for sharing! Thank you for the feedback Amber! I’m so glad you and your whole family liked it! That’s the best. HI! 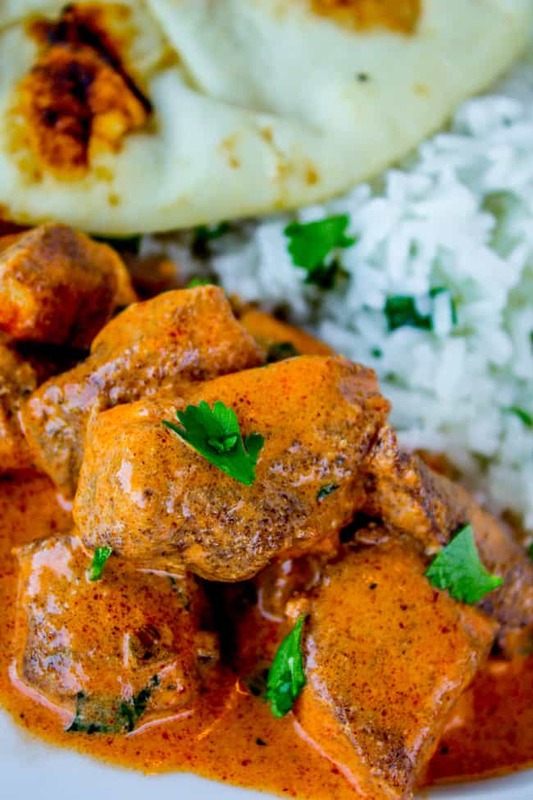 I had this great curry that my friend made a few months ago and looked around on pinterest to try and find a similar recipe and found this one. Then, I asked my friend if she could send me the link to hers because I just really liked it. Long story short, this was the same recipe from your website. I made a double batch for my family and a friend who just had a baby and we all loved it. Thank you so much! Ha!! That is awesome Amy! How funny that you both found the same recipe. I’m glad you got your hands on the right one! And I’m glad you liked it :) Thanks for the review! I was just wondering if there was something else that could be substituted for the jalapeno in the recipe? I know the seeds carry the heat, but, y’know how food allergies go in getting you when you least expect it. Hey Rachel! You could leave them out if you want. Or your could add some chopped green bell pepper instead, I bet that would be good. Let me know how it goes! Mine did not turn out as creamy for some reason! Not sure what I did wrong. I cooked on high so maybe I’ll try again on low. Still tastes good though! Just a thinner, darker colored sauce. That’s weird Brooke! I can’t imagine why cooking on high would change anything. Did you leave it in for less time? I hope it works better next time! Mine wasn’t creamy either and I followed the recipe to a “T.” The flavor was good, could’ve used some heat, though. I added some Siracha sauce to my plateful and it really added some zing. I don’t know how to make this dish creamy though. I thought about adding some yogurt or sour cream to the finished dish. Maybe I’ll try that next time. Hey Tracy! That’s so strange that it didn’t turn out even a little creamy for you! Did you add all the coconut milk? I had the same issue lacking in creaminess :( I am not sure if it was the type of coconut milk I used or some other factor. I cooked mine on low and instead of bone in chicken thighs I used Skinless boneless (My Fiancé picked up the wrong meat lol) but other than that followed the recipe. Do you use the canned coconut milk from the Asian section of the grocery store? Hey Jennifer! Yes, that’s exactly where I get it from. I usually buy the kind that has barely any English on it because it’s way cheaper :) Enjoy! So the curry powder you use is it just the regular curry powder? Hi Donna! Yeah I just used yellow curry powder! This recipe is SO SO SO good!!! I have used you recipe so many times and have told all my friends and readers about it! Thank you so much for such a tasty recipe that is super easy to make. I am a huge fan of the crockpot! BTW I shared the recipe in my YouTube video today. I talked about it for a sec and everyone was asking so I put your link in the description of my video. Hope it helps! Thanks again! LOVE the recipe! I’m a little obsessed. Can you tell? haha! Thanks! Hey Brittany! I’m so glad you like the recipe! I saw what you said in your comment on your YouTube page about subbing powder for garlic and ginger, I’ll have to try that next time I’m feeling lazy. Thanks for the shout out! I’m off to check out your rice krispies recipe, I don’t have one I like! Made this today, it was awesome! Just finished this recipe! I used lite coconut milk instead of regular, so my sauce did not come out as creamy-looking as your pictures. But it is still very delicious. I will use regular coconut milk next time to achieve optimal creaminess. Optimal creaminess is kind of where it’s at, I would agree :) But happy to know it works with lite too! I will have to try it out next time! Thanks for the feedback Danielle! Mine is in the crockpot right now! I’m so excited. Will be serving with cauliflower rice. Thanks for this easy recipe. Can’t wait to try it. Glad to hear you tried it with cauliflower rice Dana! Great combo. Thanks for the feedback! Tried this out and it was DELISH. I tend to be too hands on in the kitchen, and the hardest part of this dish was leaving it alone for 6-8 hours. You have inspired me to find more slow cooker recipes – although I wont need any tonight because there were plenty of leftovers (regardless that my boyfriend had 3 servings). Thank you so much! No adjustments made to recipe and absolutely will be making again… and the floors look beautiful! I’m so happy it was a success Ashley! I agree, leaving the slow cooker alone is sometimes the hardest part :) Thank you for your review! Have a great weekend! This sounds amazing! Do you think the chicken could be seared and cooled then combined with the rest of the ingredients as a pre-prep freezer meal? Hey Amber! Yeah I totally think that would work. I haven’t tried it though. let me know how it works out! Hi. This sounds divine. Just needed a clarification on the chili powder. Is that the Mexican chili powder or is it the powdered chili? Thanks so much! Hey Cecillia! I just used regular ol’ chili powder that you can find in the spice aisle of any grocery store. Great question! This was super easy and delicious! I used chicken breast (a little more than 1 1/2lbs, 4 breasts). I cut each in half and browned them as the recipe calls for. I left out the jalapenos but followed the rest of the recipe. This is now part of my regular meal rotation. Thank you so much! Hey Renee! Hooray for a successful dinner! Thanks for the info on how many chicken breasts you used, I still haven’t tried it that way so was guessing on amounts. I’m glad it worked out! This recipe looks delicious!! Any recommendations for the best curry powder to use? Thanks Jacqueline! I honestly can’t remember which brand I used, but I bought it in the spice aisle at the grocery store. Any of the popular brands will work. I’ve even used curry I’ve found in the cheap-o plastic bags of spices that you can sometimes find with the Latin spices on the Mexican food aisle. This looks so good! At first I thought “basil chicken, sounds Thai.” But when I got to the yellow curry powder I thought maybe it is more of an Indian curry than Thai. I am excited to try it regardless (especially since I have fresh basil now) but I wonder what are your thoughts about using yellow or green Thai curry paste I place of the powder? Fresh basil! Yum yum. You know Camille, I have to tell you for as much as I love curry I haven’t experienced too much cooking with it. I couldn’t tell you if this would be great with green paste. My instinct is yes. I say try it out! Let us know how it goes! Thank you for the great recipe. Made it this morning for dinner tonight. Instead of jalapenos I used poblano peppers and my toddlers and husband all loved it EVEN my 9 month old baby who is eating solids. I would say this is a major win. I shared @singerinkitchen on Instagram I rarely find great crockpot recipes so this goes down in my books! I love poblanos! Such great flavor! That’s an awesome idea. And I’m impressed that even the baby liked it! It’s the best when you can find a meal everyone will eat. Thanks for your review Noelle, I will definitely check out your instagram post! Made this today and it was really, really good. Used boneless thighs, lite coconut milk and hot madras curry powder, omitted the ginger. I only added one of the jalapeños to cook and kept the other one out to slice raw as a garnish. My husband isn’t big on curry and he commented twice during dinner that it was really good. I can’t wait to make this! 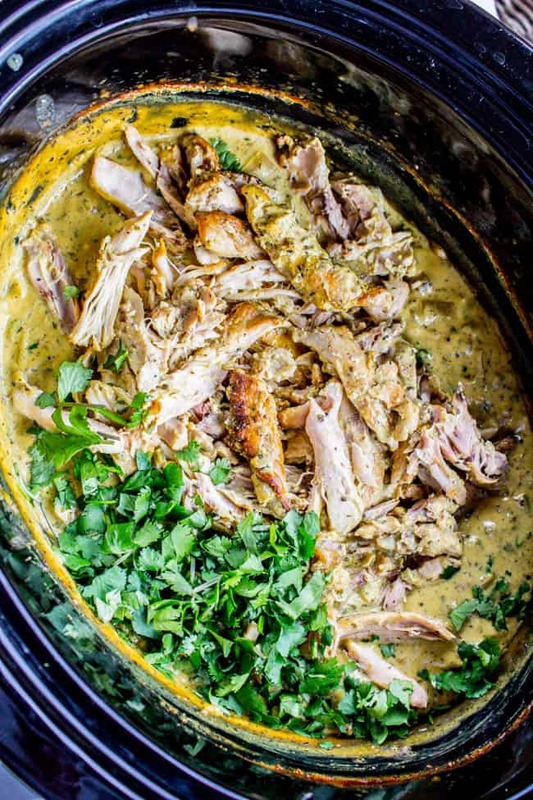 I love coconut and curry, but I also love that it can be made in the slow cooker. I recently found out I’m allergic to cow’s milk, so it’s great to be able to add another coconut milk dish to my recipe book. Bummer about your new allergy! But at least you can still enjoy this one. Coconut milk is a great alternative! Hope you enjoy it! Well good to know this is still tasty even when you forget the basil! Haha! I’m glad you liked it Tess, thanks for commenting! Ooh yum! This would be fabulous with fresh basil, I can only imagine! Totally have to try that this summer when my plants are bursting. Love the creamed coconut idea! Perfect! Thanks for your review! Do you think it would work to add some veggies to the crock pot, like carrots or mushrooms, to get some more fiber? Would the recipe need adjusting if I did that? Hey Erica! I think you are right, it would mute the flavor of the ginger if you added it with the onions and garlic. I feel like it’s pretty common in Asian cooking to add the ginger toward the end, but I’m not an expert. I’m sure there are lots of ways to do it. I do love a strong ginger flavor so I like adding it at the end. If that’s not your thing try adding it earlier so that it has time to simmer for a while :) Hope you enjoy the recipe! Bummer Sue! I will change my recipe notes to reflect that. I’ve never made it with breasts, but I guess it makes sense that they wouldn’t shrink down as much as thighs because they are less fatty. I’m glad it still tasted good even though there was too much chicken! Thanks for your feedback, I really appreciate it! Hello! I am really excited to try this recipe. I am a little confused and it may just be me reading this at the end of a work day. I noticed the recipe calls for skin on bone in chicken, but in the directions it says to remove the skin. And the picture on your blog shows the skin on the chicken when you have already seared it and put it in the crockpot. Do I remove the skin or not? Or just remove it on some of the chicken? Again, sorry if this is a silly question! Hey Kelsey! There is a note below the recipe about this. I tried it both ways and preferred it with the skin removed before the searing step. (But I only snapped photos on my first trial, with the skin on.) If you can find bone-in skinless chicken thighs, then just buy that! But I’ve never seen them. Sorry about the confusion! Enjoy! Hi! Is the yellow curry paste or powder? Thanks! Hi Kate! I used curry powder. Enjoy! Looking forward to trying it Wednesday! Thank you! So is it just regular curry powder that you get in the spice aisle? Or does it need to say “yellow curry powder”? Hey Janel! Yep, just the regular curry powder! Any kind will do really. You can taste it first to see if you like it. Hope you enjoy the recipe! 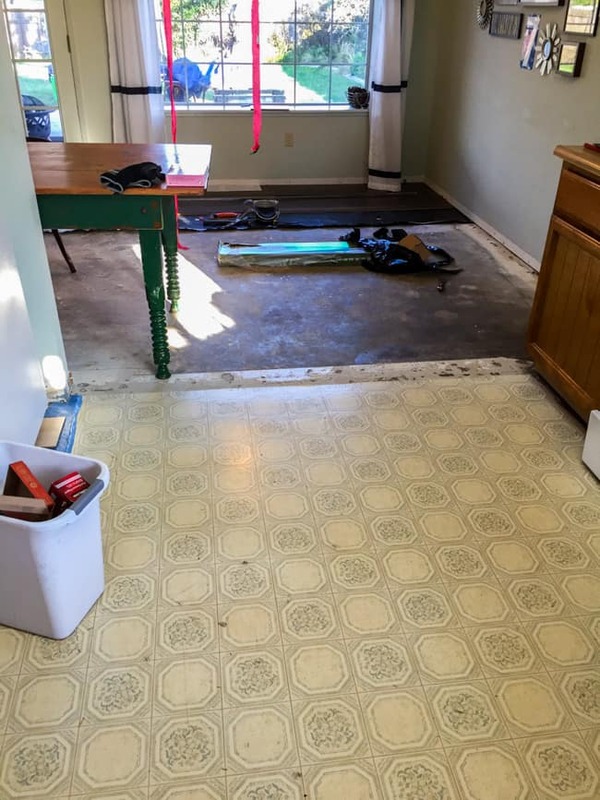 Haha – I grew up with linoleum that looked like…BRICKS. I’m not joking. Everyone was TOTALLY fooled into thinking it was real brick, I’m sure. Looks delicious! 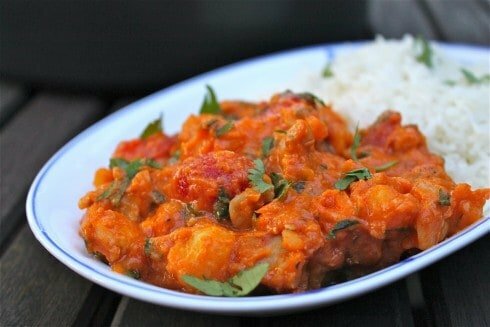 I’ve made curries with coconut milk in my slow cooker before and the coconut milk always curdles – any advice on preventing that in this recipe? Not really Sarah! I like the flavor. If you have made coconut milk in the slow cooker before and didn’t love it, I would just make the stovetop version of this recipe referenced above. :) enjoy! I gave the recipe a try this weekend and it turned out perfectly – So delicious! Thank you for another great recipe! Looks like my lite coconut milk is separating/curdling. Will the end product be affected? With the coconut milk and the basil this sounds soooo good!! Those linoleum floors made me chuckle! My parents had something so similar in the house I grew up in!! haha I didn’t think that linoleum looked that bad! I have wood floors throughout too . . your floors are going to look beautiful!!!! and I love that you re-worked this recipe to go into the slow cooker . . geez, slow cookers are freaking amazing, aren’t they?! this chicken looks fabulous! I too was trying to see what I was missing on the floor=) You really had me there for a minute hehe. I really like the wood floors! I have (engineered) hardwood in my kitchen and really love them. Very easy to wipe up spills and they are pretty too. The recipe looks super yummy…can’t wait to try it. Haha!! Yesss. Mission accomplished :) I’ve heard lots of good things about engineered hardwood! And it’s so pretty. Thanks for commenting Sarah! Just a quick question! (May be obvious, but sometimes I am so literal) Do you cook all 6 thighs and then put all 6 thighs in the crock pot? And, what’s the recommended size crockpot for this recipe? I have a 4.5 quart. Love but have not tried it in a slow cooker. You made it look so good. Thanks Peter! I am all about the slow cooker lately! This dish looks amazing, Karen! The linoleum, not so much. Ha. I remember growing up with orange countertops and macramé hanging pot holders. 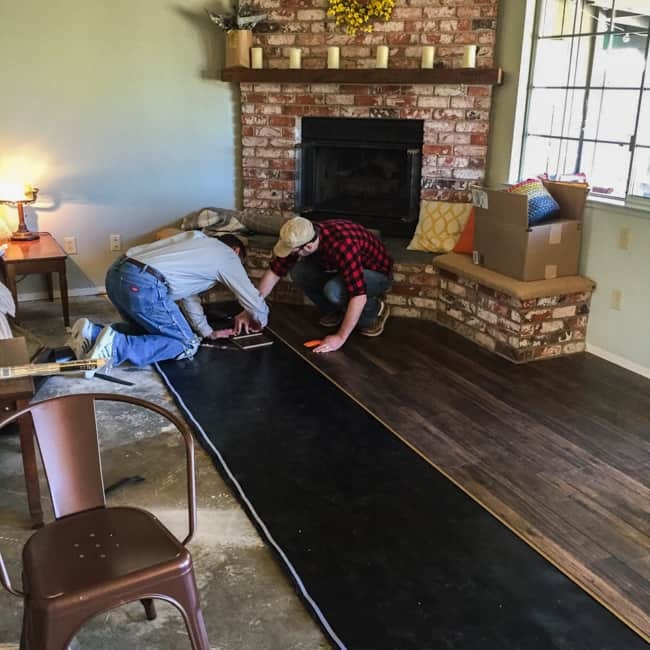 Oh, the 70’s… Your floors are going to be gorgeous!! yes, OH the 70s. Somebody help! Haha. Orange countertops. shudder. yeah, you totally got me with the linoleum comment! i stared at it for a minute going, “is it…cute? …somehow? because…hipsters? or…?” thank glob for scrolling. and yes, my parents house growing up had the most ridiculous-but-typical kitchen – all gold appliances, super dark wood cabinets, gold-orange-brown flowered wallpaper, and the floor was also gold-orange-brown patterned laminate. it was really…something. anyway, the new wood floors DO look great! it must feel so good to see them going in. and the recipe looks delicious. i just made a red curry with chicken thighs, sweet potatoes, and shallots a couple weeks ago and it was so good. this yellow one is going on the list! Bahahaha!! I’m so glad I’m just tacky enough in general to fool you into thinking that I might have been serious. and “because…hipsters?” lol I’m cracking up over here Stephanie :) :) And yes, do try the curry! I want your sweet potato recipe! lol, i think i have been spending too much time on apartment therapy where someone always legitimately loves the “before” better. 1. brown some boneless skinless chicken thigh chunks in whatever pot you’ll make the curry in & set aside. 2. in the food processor, grind up the edible bit of a lemongrass stalk, 2 garlic cloves, and a knob of ginger. cook this in some oil in the curry pot with some salt for a few minutes. add a jar of red curry paste (yes i use the whole jar!) and a spoonful of tomato paste, cook for another few minutes. deglaze with 2 c. chicken stock & scrape the pot, let it cook for five minutes, add a can of coconut milk & bring to a boil, then simmer the whole thing for a half hour. 3. add 2 peeled & diced sweet potatoes. if there’s not enough liquid to cover them, add more chicken stock (or water). keep simmering partially covered for 15mins, then add however many peeled & quartered (lengthwise, don’t remove the root) shallots as you want and cook until done, another 15-20. 4. add back in the chicken pieces, a thinly sliced red chile, and lime juice & salt to taste. it’s ready when the chicken is cooked through. You are DA BEST. I need more sweet potatoes in my life. And shallots. this is perfect. Thanks Stephanie!